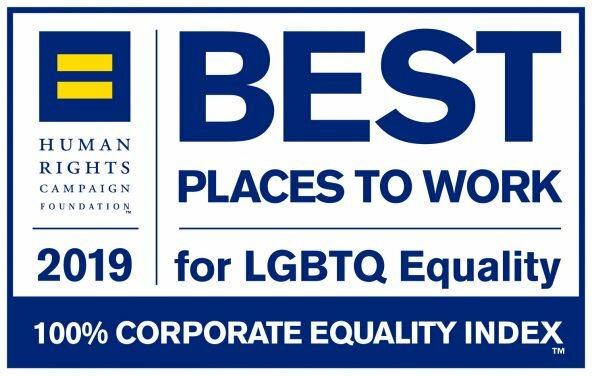 "We are honored to receive the best place to work designation from HRC," said Celeste Warren, vice president of human resources and global diversity and inclusion center of excellence. "At our core, we believe that having a diverse workforce – including all dimensions of diversity – is fundamental to our success. When we can bring our whole selves to work and feel valued, we will do our best work." “We are proud of our strong partnerships, outreach and philanthropy with a number of LGBTQ advocacy organizations, including: the Human Rights Campaign, Out & Equal, I'm from Driftwood and Out in Science, Technology, Engineering and Mathematics (oSTEM), the largest chapter-based organization focused on LGBTQ people in STEM,” said Warren. The company is among more than 560 major U.S. businesses that earned top marks this year on the 2019 Corporate Equality Index. Read more about the 2019 Corporate Equality Index.